See HerO for the former Team Liquid player with the same ID (also a Protoss). Kim "herO" Joon Ho is a StarCraft progamer from South Korea. He plays Protoss and is currently playing for TSGaming. herO played his first official StarCraft II match during the hybrid 2011-2012 Proleague Season 2. Although he was less successful in the BroodWar portion of the hybrid league, herO was one of the most consistent players for CJ Entus in the Wings of Liberty portion. Due to his adept Wings of Liberty play he was selected most of the time to play in the Ace Match. He played a critical role in bringing his team to a championship victory including wins over Rain and soO in the ace matches of both of the semifinal games as well as a win over Stork in the finals. When the 2012 WCS Korea Championship was announced, herO was one of the KeSPA invites and thus didn't have to participate in the qualifiers. In the first round of the Winners Bracket he lost 2-1 to Puzzle and dropped down to the Losers Bracket. There he was able to go on a long run beating YugiOh, TAiLS, EffOrt, and Puzzle before losing to RorO. He got a final rank of 7-8th place which was enough to quaify him for the Asia Finals. On October 13, 2012 herO entered the WCS Asia Finals. He went on an extensive run in the Winners Bracket beating Ian, Squirtle, and Sen before losing to Rain. In the losers bracket he defeated RorO and then lost the 3rd/4th place match to PartinG. His 4th place finish qualified him for the World Championship. At the 2012 WCS World Finals herO was placed in Group F for the Round of 32. There, despite his initial win over MajOr, he lost to TitaN and then Curious to fall out of the tournament in the Round of 32. One of the last Wings of Liberty events that herO participated in was the 2012 MLG vs Proleague Invitational. Although he had a winning record, his record (25-23) was the lowest among the KeSPA players. As a result he didn't qualify for the Playoffs. He continued to play a key role on CJ Entus during the 2012-2013 Proleague through its switch from Wings of Liberty to Heart of the Swarm. The first Heart of the Swarm tournament that herO participated in was the 2013 MLG Winter Championship. On February 5, 2013 he played in the Showdowns against RorO. With a 3-2 win he was able to qualify for the Main Event in Dallas. There he lost 3-0 in the first round to MC. In the Exhibition Matches that took place later on, he was able to take second place. After a walkover win against Feast and beating SaSe and ThorZaIN he lost 3-0 in the finals to MarineKing. When the 2012-2013 Proleague switched to Heart of the Swarm, herO was once again a pillar of the CJ Entus lineup, often playing as their ace. Although he had one of the highest win rates in the league his team did not qualify for the Playoffs. herO participated in the 2013 WCS Korea Season 1 GSL Qualifier. He advanced to the third round in his bracket but was defeated by ALBM 2-0 and did not qualify for WCS Korea Season 1. On June 26, 2013, herO participated in the WCS Korea Season 2 Qualifiers. He was placed in Group B of the evening session. There after a BYE in the first round, he defeated NtO`KEH, Cacia, and BeSt to qualify for the Challenger League. There he defeated Hurricane 2-1 in the Round of 48, and he faced Reality in the Round of 32 where he lost 0-2.
herO played in the WCS Season 3 Up & Down matches Group B where he went 3-1 only losing a map to Life. herO would then be in Premier League where he won against GuMiho but lost against INnoVation twice knocking him out of the group and out of Premier League. herO then played in Challenger League where he defeated Creator 2-0 but lost 1-2 to Hurricane. One of herO's few foreign tournament events was IEM Season VIII - Singapore. herO qualified through the qualifiers, he was placed in Group C of the main tournament. He managed to defeat both Bomber and Dream advancing him into the Round of 8. 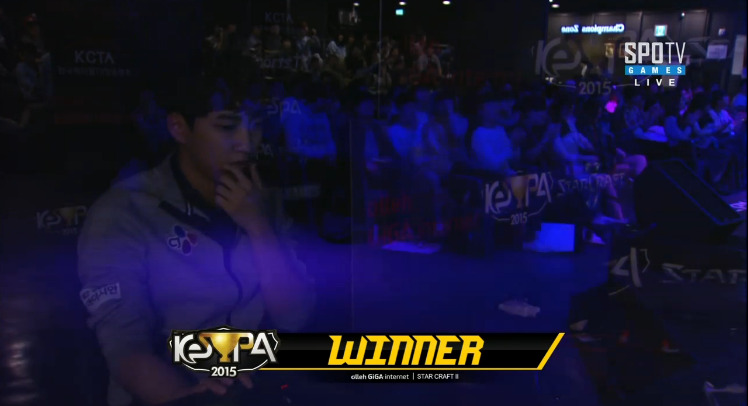 He faced the legend Terran Mvp, herO defeated him 3-0 putting him into the Round of 4. In the Round of 4 herO also defeated DongRaeGu 3-0 which would advance him into the finals, a chance for herO to win his first Starcraft 2 championship. In the finals herO would face San who also had an impressive tournament run, the first two games into the finals herO was down 0-2 but managed to win four games in a row winning 4-2, crowning him the IEM Singapore Champion. herO participated in the 2014 GSL Season 1 Qualifier. He was able to defeat Tree, RagnaroK, and Solar without dropping a map and advanced to Code A. In Code A herO would face Zest, INnoVation, and Stork in his group. Despite losing his first match 2-1 to Stork, herO was able to come back and defeat INnoVation and Stork in the rematch both by 2-1 scores. This allowed herO to advance to Code S. In Code S herO would face Rain, Solar, and DongRaeGu in the Round of 32. He was able to advance from his group in first place with a 2-1 victory over DongRaeGu and a 2-0 victory over Rain. herO advanced from his Round of 16 group in second place by defeating Bbyong and Trap. He was scheduled to play Rain in the Round of 8 on March 19, 2014. Unfortunately he was defeated 3-2 by Rain and was eliminated from the tournament. herO reached the round of 8 in Code S in the previous season, so he was placed into code S in 2014 GSL Season 2. He managed to get into the Ro16 in first place, defeating both INnoVation and Leenock 2-1, but failed to make it out of his Ro16 group, falling out 0-4. His group ended up being the group of death as it included both finalists of that season, soO and Classic, as well as the Code S regular PartinG. herO was put into Group I in Code A, along with Reality, sOs, and Super. After a somewhat surprisingly one-sided 0-2 loss to Super, herO went into the Losers' match against Reality. Despite the fact he managed to defeat INnoVation 2-1 in the previous season, herO lost 1-2 against Reality in somewhat disappointing games, knocking him out of Code A.
herO qualified for the 2014 WCS Global Finals as the 12th seed with with 3475 WCS points. His first match was against the 5th seed, MC, who he defeated 3-2. He then faced Classic, the 13th seed, in the quarterfinals, where he was defeated 3-2, thus ending his tournament run. herO was able to qualify for IEM Season VIII Sao Paulo. herO would play his Round of 16 group on January 31, 2014. He lost to Polt 2-1 but was able to advance from his group in second place by defeating Kelazhur twice by 2-0 scores. herO would go on to 3-0 MajOr in the Round of 8, 3-0 TLO in the semifinals, and defeat MC 4-1 in the finals to win IEM Sao Paulo and become the first player to win two IEM championships, with his coming back to back. herO qualified for the IEM Season VIII World Championship in Katowice, Poland, based on his IEM tournament wins over the season. He would edge out HyuN 3-2 in a close series in the Round of 16, defeat San 3-1 in the quarterfinals, and narrowly defeat Polt 3-2 in the semifinals to advance to play sOs in the grand finals for $100,000. Unfortunately, herO was defeated 4-1 by sOs and had to settle for second place. Due to his previous IEM victories, herO was invited to IEM Toronto to replace Maru. In the double-elimination Open Bracket, he defeated desRow, StarDust, and Revival 2-0. However, in the Winners and Losers bracket, he lost 2-1 to Snute, who showcased a patient playstyle relying on Swarm Hosts, Vipers and static defense. Stopped before the group stage, herO consequently did not earn any WCS point in this tournament. herO made it into the 2014 Hot6ix Cup through the online qualifiers. He was placed into Group A, where he defeated INnoVation to make it into the Winner's Match. In the Winner's Match he went up against MarineKing and was defeated 2-0. In his rematch against INnoVation, he was defeated 2-0, and knocked out of the tournament. herO qualified for IEM Season IX San Jose, defeating HyuN, Life, and SoO in the online qualifier. He made it out of the Round of 16 Group Stage by defeating Super and Bomber, both 2-0. He went on to defeat Snute 3-2, and Jaedong 3-1 on his way to the final, where he played Rain. Rain grabbed a quick 3-1 lead, but herO came back to win three sets in a row and claim his third IEM championship. herO had a successful season beating Curious, TaeJa, MC and Maru to make the quarterfinals. In the Ro8, herO beat Rogue in a narrow 3-2 victory which resulted in him qualifying for the GSL semi-finals for the first time. However, herO's road ended there as he was narrowly beaten by eventual champion Life 4-3 in a very close series. herO had a relatively unsuccessful season as he crashed out in the main event Ro16. He qualified into the main event by comfortably beating a lackluster teammate, Bbyong, 3-1. In the Ro16, herO had a good start taking out Life 2-0 in macro games, before taking the first map against Stats. Unfortunately for herO, he lost the series against Stats before being knocked out by Life's all-ins in the decider, thus ending his run. herO, despite showing a dominant performance in the Ro32, going 4-0 taking out Patience and Flash on the way, was not able to replicate his form from the previous season. Despite starting brightly by beating Dream 2-0, he faltered against Curious and his teammate ByuL, losing four maps in a row and crashing out of the tournament. herO started his season by crushing Symbol 3-0 in the Challenge stage to qualify for the main event. He was more successful than the previous season, as he beat PartinG twice to advance despite losing another close series to Stats 2-1. herO made the SSL semi-finals for the first time by beating a favoured Maru 3-2 in the quarterfinals in a tight back and forth series. However, herO's run sharply ended in the semi-finals as he systematically taken apart by Dream who, he had just beaten in the GSL S2 a few days prior. herO was easily beaten 4-0 by Dream who advanced to make his second SSL finals in a row. herO's performance in season of GSL was similar to how he did in previous season as he crashed out in the Ro16. Despite another strong performance in the Ro32, where he easily brushed aside Hack and Losira to advance 4-0, he lost once again in the Ro16. herO lost to Maru in the opening series before beating sOs in a narrow series. In the decider, herO met Classic and was unable to advance, despite winning the first map. herO pulled off a great run in SSL Season 3, and finally was able to achieve his dream of winning a tier 1 individual league in Korea. His Ro16 group was described as many as the 'Group of Death' as it contained Life, INnoVation and sOs. herO overcame the tough group by beating both Life and INnoVation 2-1 to advance in first place. In the quarterfinals, he faced MyuNgSiK where he began by taking an easy 2-0 lead, before losing the next two maps and narrowly winning the 5th to advance to semi-finals. In the semi-finals, he met Rain, who was coming off a hot streak having recently won a GSL by beating herO's teammate ByuL. In another tight series, herO managed to take out Rain 4-3 despite PvP being his worst matchup, to make his first Korean league finals. In the finals, he met his teammate ByuL, who was making his second Korean league finals in a row. In contrast to the previous rounds, the final was largely one-sided as herO powered past his teammate to win his first tier 1 Korean league title and cement himself as one of the best players in HotS. Played Zerg in Brood War. Defeated BarrackS in his first official StarCraft II match. Was given the nickname "The Smiling Assassin" by Paul "Redeye" Chaloner during IEM Season VIII Singapore. He is the first player to win three IEM championships, winning IEM Season VIII - Singapore, IEM Season VIII - Sao Paulo and IEM Season IX - San Jose. Was featured in Madals' APM compilation at 2014 DreamHack Open: Stockholm. Received a special award for achieving the most wins in two consecutive seasons of Proleague (2014, 2015). herO then went on to reach top of the ranking in third consecutive season as well. Is a member of the so-called "invisible line" ("투명라인") - players who for some reason are always overlooked. The "invisible line" includes the likes of GoodFriend, Light and aLive. Because of those players being ignored so often, Korean fans jokingly started to wonder if they ever existed and gave them nicknames by typing their names with English keyboard setting (for herO it is "rlawnsgh"). As an extension of that nickname, Korean fans call herO the Invisible and often post screenshots joking that the production team is filming an empty booth etc. (like in this image from 2015 KeSPA Cup). Has a dog, toy poodle, called Star. He mentioned in an interview that he named it like that because of StarCraft being a big part of his life. PvZ - vs Jaedong on Antiga Shipyard (2011-2012 Proleague Season 2, Round 2 - Week 3 CJ Entus vs Team 8) - Great holds and incredible ending. ↑ CJ Entus (October 10, 2015). "herO receives prize for the most wins 2014, 2015". ↑ CJ Entus (September 3, 2016). "We open some herO's pictures to congratulate him on the most wins in the 2016 SPL!". ↑ Damptoe (May 5, 2015). "A few Korean progamer nicknames". ↑ DankShrine (March 24, 2017). "DankShrine Ep. 29 herO". This page was last edited on 10 April 2019, at 12:13.